Fourth of July is here again. Wake up and celebrate this day as never before because it’s our Nation’s Birthday! HAPPY 240TH INDEPENDENCE DAY to all of you. Hope you’ve planned ahead your day. If you haven’t, then hurry up! You might run out of time. We all have some responsibilities toward our nation. Isn’t it? But remember, independence is incomplete without financial freedom. We need to be financially strong in order to make our nation flourish financially. What do you think? Well, financial freedom greatly depends on the millennials of our nation. After all, they’re our country’s future. So, this Independence Day let’s concentrate on how to achieve financial freedom for the better future of our country. Don’t know what to do? OK! First, stop panicking and take a deep breath. Then take time out from your busy schedule and pay attention to the lines below to find out an answer to your query. 1. Ignore your earning - You might have got a new job recently and there are chances that your new profile will require a makeover. You probably need professional clothes, vehicles, and perhaps a decent place to live. For this, you need quite a lot of money. What will you do? Won’t you buy new clothes for office use? Of course, you can buy new things. But, try to limit your expenses. Remember, if you can’t manage your expenses well, you’ll be pushed into the debt pool. You should live a frugal life even after you have got a decent job. It will help you build up money for your future expenses. 2. Choose to live at home - You might be thinking it as a bad idea, but trust me, you are not the only person who chose this option. Apparently, 85% of the new graduates have decided to return to their parents, for some time. Do you live alone in some other city? If so, then return to your parents and live with them for few months. This’ll help you to become more financially flexible, get rid of unwanted expenses, and strengthen your bank account. 3. Slow down student loan payments - Are you paying your student loan on a regular basis? Yes? Then STOP! Consider certain points while dividing your payment priorities. There’s no need to keep student loan payments in your top priority list unless you’ve unusually high-interest rate or have sufficient amount in your hand to pay off all debts together. Hence, you can continue making payments in a slow and steady manner until the life of a student loan ends. What else can you do to achieve financial independence? 1. Don’t be scared - If you get scared easily with every minor financial problem, then calm down. Getting panicky will increase your problems. Just have faith in yourself and believe that you can do it. 2. Follow your intuition - Are you pondering over a financial decision? If so, then don’t. Ask yourself a simple question - Is it right? Be honest with yourself and you’ll find your answer. 3. Trample your debt - Leave your debt behind if you want financial freedom. OK! This isn’t too easy, but if you move step-by-step you can squash your debt within a limited time. 4. Plan a budget - Do you want to achieve financial freedom fast? If yes, then plan a budget right now. This is a vital tool when you want financial fitness. A budget helps you to organize your finances better. If you want, you can also take help from a professional. 5. Open an emergency savings fund - If you don’t have an emergency fund, you’re more under risk. Get prepared for your rainy days and open an emergency savings fund today. Choose the right job. It can happen at the age of 40 also. Don’t think about retirement only. Think about reaching financial freedom. After retirement, if your health permits you to work, then do a part-time job or start a small business. Live a happy life, not a luxurious life that will drain all your savings. Save at least three to six months of living expenses for your rainy days. Take advantage of various retirement plans like 401(k), 403(b), 457, personal IRA, and so on. Buy insurance for a safe future. Analyze the future financial scenario and make the financial planning accordingly. 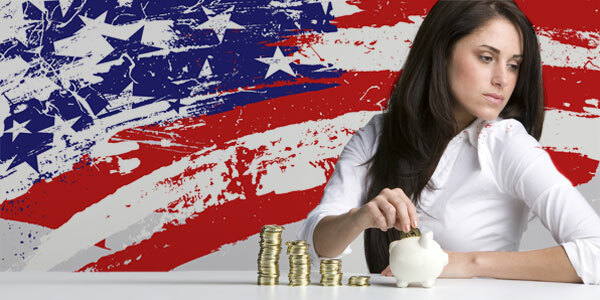 So, how will you enjoy your financial independence this 4th of July? Do share your plans with us.